That’s the expansive spirit we’re bringing to The Dissolve, a site we’ve conceived as a playground for movie lovers. As on any playground, fights will occasionally break out and knees will get skinned, but we are approaching this opportunity with openness, curiosity, and a boundless sense of adventure. The core staff members all have strong individual perspectives and particular areas of interest, which we hope lends breadth and depth to the site. But we also share an omnivore’s willingness to give fair consideration to everything on offer, from the latest blockbuster to the eccentric wonders of Apichatpong Weerasethakul. That’s the fun—and perhaps the sickness—of cinephilia: We can spend our week sampling old Marx brothers comedies, the latest import from Romania, a 12th viewing of the Patrick Swayze vehicle Road House, some disreputable piece of 1970s drive-in sleaze, a Katharine Hepburn/Spencer Tracy comedy, and a shiny new spectacle on IMAX 3-D, and consider it all part of a balanced diet. With moviegoing changing (and continuing to change) in the 21st century, The Dissolve wants to account for the many different ways our readers experience movies, whether they’re at the multiplex, in their favorite New York City arthouse, or watching a new indie On Demand at home in Des Moines. We intend to cover the waterfront of new movies from Hollywood, American independents, and filmmakers from around the world, while also bringing some order to the Wild West of pre-theatrical (and non-theatrical) Video On Demand and the multitude of streaming options. And our news section, Newsreel, has been conceived as an elastic source of information, comprising bits of of-the-moment analysis, commentary, and other odds and ends that surface throughout the day. Movie news and developments come in many different shapes and sizes, and we’re trying to find new ways to accommodate them. We also want to explore books, shorts, midnight movies, the art of screenwriting and other filmmaking crafts, and the endless cultural ephemera that spins off from the art form. At the same time, The Dissolve’s staff are committed to exploring the past through a wealth of retrospective features that delve into classics both acknowledged and unheralded, the enjoyably offbeat and the unjustly (and justly) forgotten. Too often, film coverage is limited to discussing what’s happening now, or merely anticipating what might happen months from now. But no film exists in a vacuum: There’s history and context to everything that comes out, and part of the joy of cinephilia is making those connections. The more you watch movies, the more the doors to the past, present, and future open up and compel people to keep watching and keep making new discoveries. We don’t want to close any doors here on what we choose to talk about, and we hope readers will embrace the mission of the site and follow along at home. 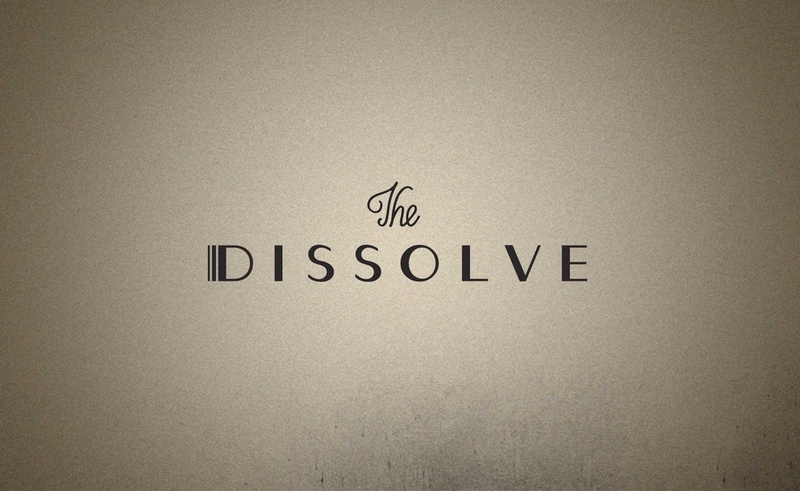 In Pitchfork Media, we’ve found the ideal partner in bringing The Dissolve to life. For nearly two decades, Pitchfork has been the standard-bearer for online music criticism and journalism, and a model for how to run an innovative yet sustainable business, one that puts editorial concerns first in a rapidly changing digital-media landscape. Pitchfork Media has put us in a position to do our best possible work, and we hope to build an online magazine that complements the music site and other ventures under the company’s umbrella. And like Pitchfork proper, we’re also getting our start in Chicago, which has been home to such critical luminaries as Roger Ebert, Gene Siskel, Jonathan Rosenbaum, Dave Kehr, and Michael Wilmington, and continues to host a number of gifted writers and scholars. Being between the coasts, a safe distance from the filmmaking centers of New York and Los Angeles, Chicagoans have always enjoyed the advantage of being relatively untouched by the industry, while also having access to a vibrant film culture. We’re going to do our best to add to that tradition, and we hope you’ll take part in the conversation.